The placement of Jack Harrison’s pass was perfect. 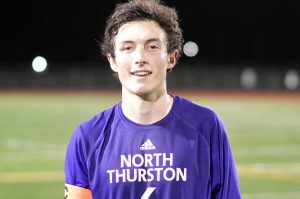 From 35 yards out, he hit a streaking Nebeel Imran in stride who proceeded to sneak behind the defense before finding the back of the net during North Thurston’s 3-1 victory over Shelton. A four-year starter, Harrison is the Rams’ holding midfielder. His primary job is to break up attacks then turn them into potential scoring changes. It’s a job he’s excelled at during his high school career. North Thurston coach Matt Herrera called Harrison “one of the top four players I’ve ever coached,” which is certainly high praise from someone who has seen plenty of talent come through the program during his tenure with the Rams, but definitely well deserved. Harrison simply has a motor that doesn’t quit, one of many characteristics that make him the ideal player for his position. Whether it’s chasing down an opposing player on one side of the pitch or aggressively driving the ball down the other to create scoring opportunities for his teammates, Harrison is a constant blur on the field. 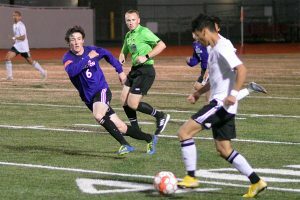 Harrison was a first-team all-3A South Sound Conference pick last year after registering two goals and five assists. But his value goes far beyond statistics. While goals have been at a minimum for Harrison, a spectacular one did occur early in his freshman season that made Herrera take immediate notice of his rising star. Last year, Harrison was part of a back line that recorded seven shutouts, including a 1-0 victory over Wilson in the 3A West Central/Southwest Washington district tournament. 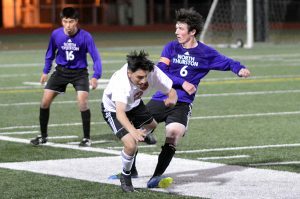 Despite several new faces in the lineup, North Thurston has already notched a pair of shutouts this season with Harrison once again leading the charge. 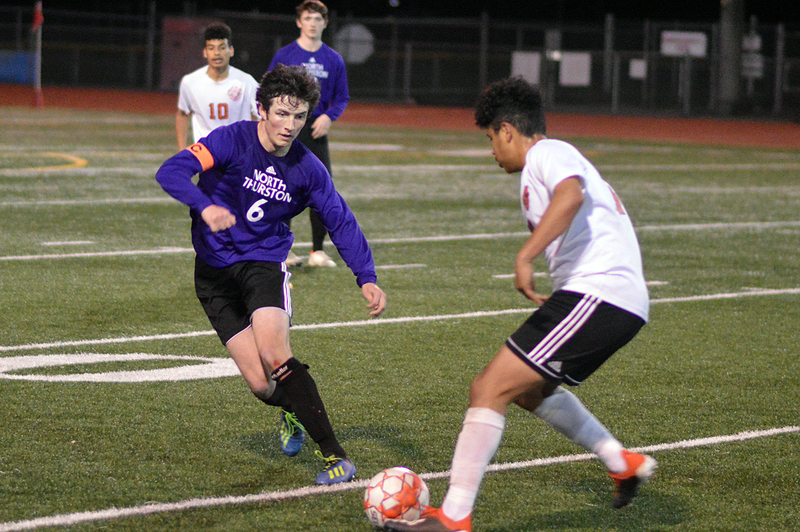 North Thurston saw its 2018 campaign end in the first round of state, losing to Redmond, the eventual third-place finisher, 3-0. It marked the first time since 2011 that the Rams were able to advance to the field of 16, a feat Harrison strives to duplicate this year.